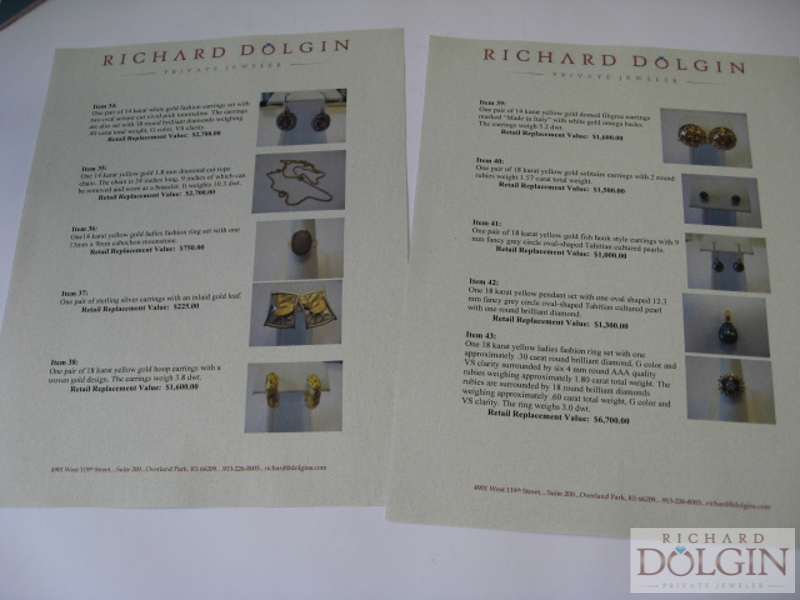 Jewelry Appraisals are a valuable service provided at Richard Dolgin Private Jeweler. KEEPING YOUR APPRAISAL UP TO DATE IS VERY IMPORTANT IN TODAY'S MARKET WITH THE CONSTANT CHANGES IN PRECIOUS METAL AND DIAMOND PRICES. If you were to lose a prized piece of your jewelry collection today, would your appraisal be accurate? An up to date appraisal is essential for insurance claims should you unfortunately lose a piece of jewelry. Unfortunately I have heard many stories of individuals having to come up with money out of pocket to replace lost items because their appraisal was over 10 years old and insurance simply would not cover the entire cost at today's prices. 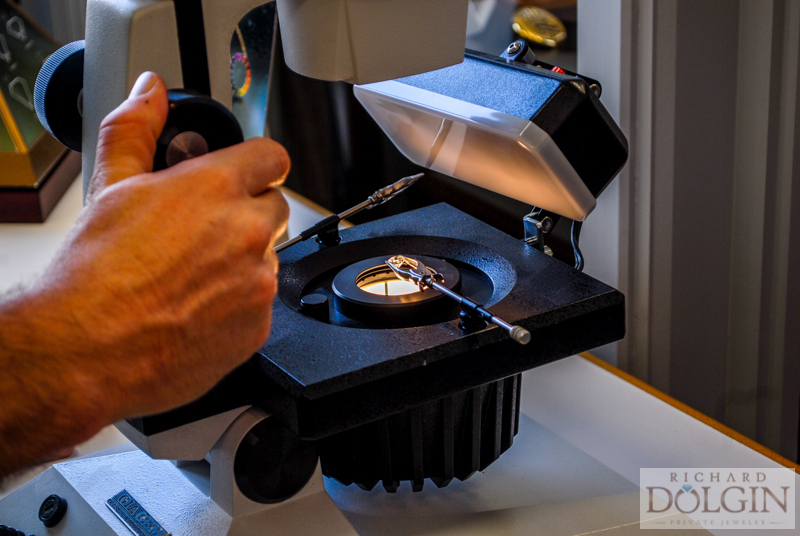 In our state of the art jewelry studio, we have the best equipment to evaluate your jewelry accurately and deliver a professional documented appraisal accepted by insurance companies and estate planners. 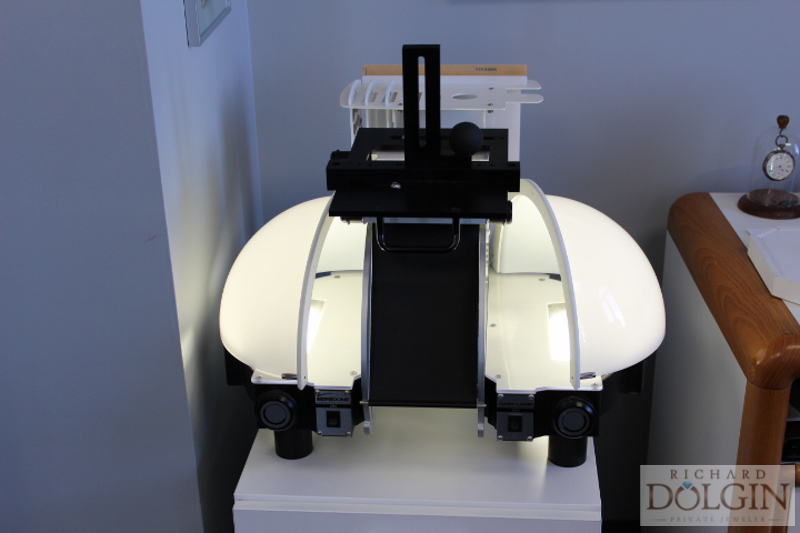 During the process each item is photographed and a professional written description is documented. If the gemstone is loose we will weigh and grade it in our diamond lab. If the stone is within a mounting an approximate weight and grading is applied. Gemstones are not removed unless specified by our clients. Whether you have a large collection of family heirlooms or a newly acquired piece, it is beneficial to have current appraisal information. 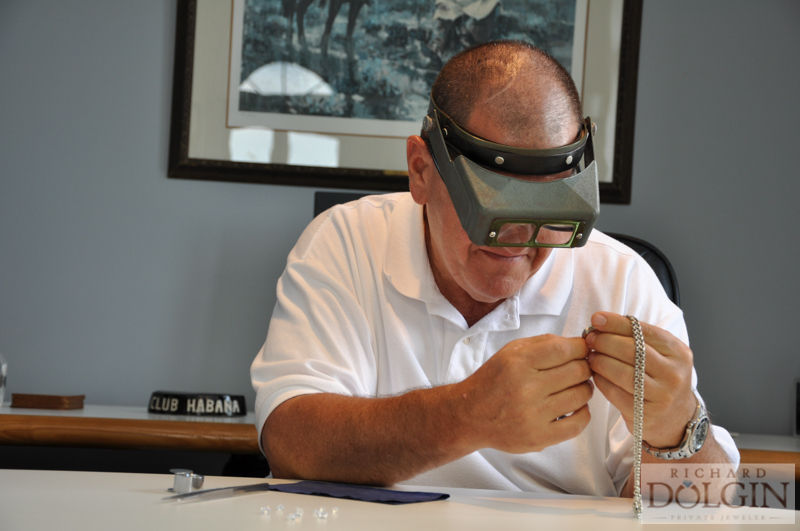 I thoroughly enjoy helping customers identify and evaluate their jewelry pieces. At Richard Dolgin Private Jeweler no request is too large or too small and you will find our appraisal prices very reasonable for our professional work.